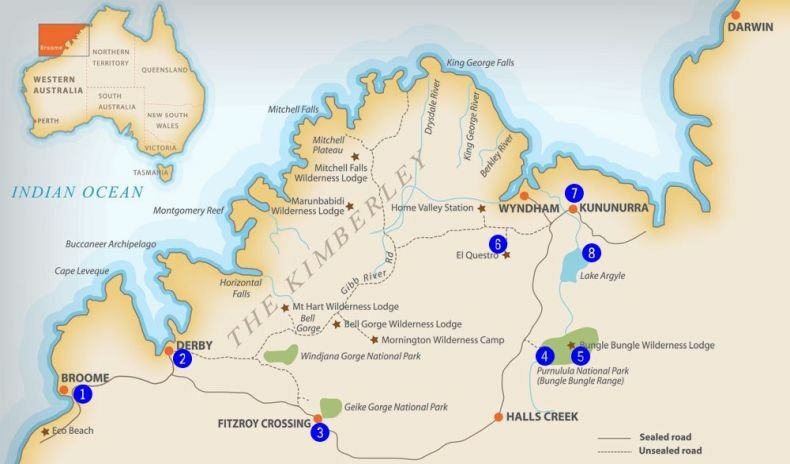 The Kimberley region is a vast wilderness covering the north west corner of Australia. It is one of the oldest settled areas on the continent, with Aboriginal presence here for over 50000 years as migration pushed south from the Indonesian archipelago. There is evidence of ancient trade with China, long before European settlement. The diversity of indigenous culture is highlighted by the fact that this corner of Australia was home to 27 distinct tribes / language groups. Today they make up roughly half of the 35000 people who call the Kimberley home. Some 25 native title claims are being pursued. The economy of the area is diverse also. Pastoral (huge cattle stations), gold mining, fishing, agriculture (Ord River scheme), pearling and tourism all contribute.